For twenty one years we have been engaged in one of the most coordinated and successful campaigns in the history of science – a phased program of robotic exploration of the planet Mars. Underpinned by a ground breaking 1996 document titled “An Exobiological Strategy for Mars” which proposed that the chances of life originating on early Mars were about equal to on Earth; NASA, in tandem with ESA, set in motion a multi-decadal phased strategy to characterise the Red Planet from global to molecular scales in an attempt to determine a planetary context for the origin of life as we know it, and whether life ever arose on Mars. In the intervening years, orbiters such as NASA’s Mars Reconnaissance Orbiter (MRO) and ESA’s Mars Express, as well as the surface landers and rovers Pathfinder, Phoenix, Spirit, Opportunity and Curiosity have all scanned the planet and traversed its vast craters, plains and ancient dried seas; and have accumulated compelling evidence that billions of years ago Mars harboured a dense atmosphere, was characterised by volcanic and tectonic activity similar to Earth; and even retained seas, lakes and rivers over millions of years. While such results point to a possibility of ancient prebiotic or biotic activity there, significant questions remain. In particular, the precise timings and extent of Mars’ early activities remain elusive; and consequently the precise nature and duration of its atmosphere, hydrological systems and their true potential for life-related activity remain largely a mystery. A lack of knowledge of the internal structure of the planet in particular muddies our understanding; and so the need to send a probe capable of analysing the planet’s interior has become an imperative. And so the Mars InSight lander had been sent to the Red Planet. Launched on May 5th and landing on November 26th 2018 on Elysium Planatia – one of Mars’ most tectonically active regions of recent geological time – InSight is set to operate for at least one full Martian year (two Earth years). It carries instruments able of determining the planet’s internal structure and thermal characteristics, and whether seismic activity persists to this day. It will enable us to better determine the history and evolution of early planetary activity on Mars, what early surface conditions resulted and whether they were favourable to life-related activity. It will reveal the internal dynamics of the planet today and whether it might support underground aquifers and hydrothermal systems important to life as we know it. 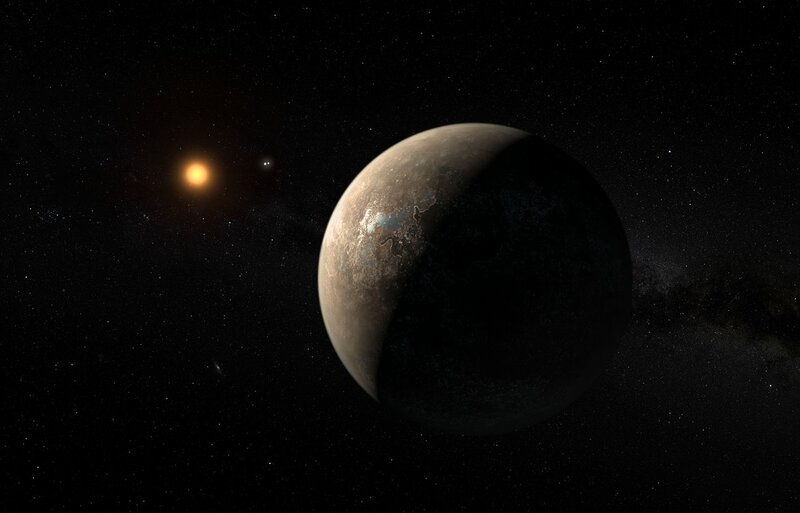 Its findings will contribute to answering our deep rooted questions regarding how all rocky planets form; and offer fresh insights into the present state of the planet – so important to know about as we begin to contemplate sending the first humans there in the coming decades. Even a passing glance of Mars peeks interest. It’s one of four rocky planets in the inner Solar System along with Mercury, Venus and Earth. 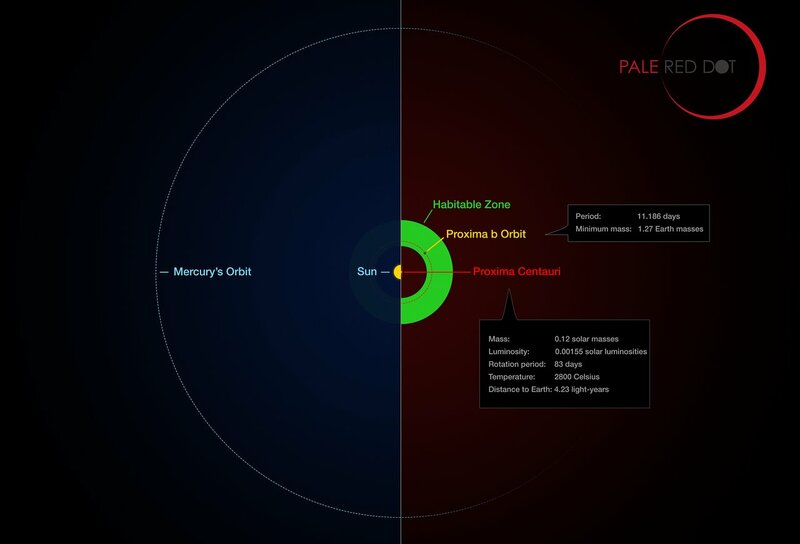 Orbiting the Sun at just one and a half times the distance of the Earth, Mars resides on the outer edge of what we call the Goldilocks Zone for the Solar System – the region of the Solar System conducive to life as we know it. And while it is only half the diameter of Earth and one tenth the mass, at eight times the mass of our Moon it is still a substantial planet with a surface area equal to the land area of Earth, a year that lasts two Earth years, a day that’s just over 24 hours long and an axial tilt of 25 degrees that’s so similar to Earth’s that it too enjoys the four seasons of winter, spring, summer and autumn – though in its case each season lasts six months and not three. Uncovering such seemingly Earth-like characteristics since the 17th century has led to a long standing fascination with the Red Planet that shows no signs of abating. 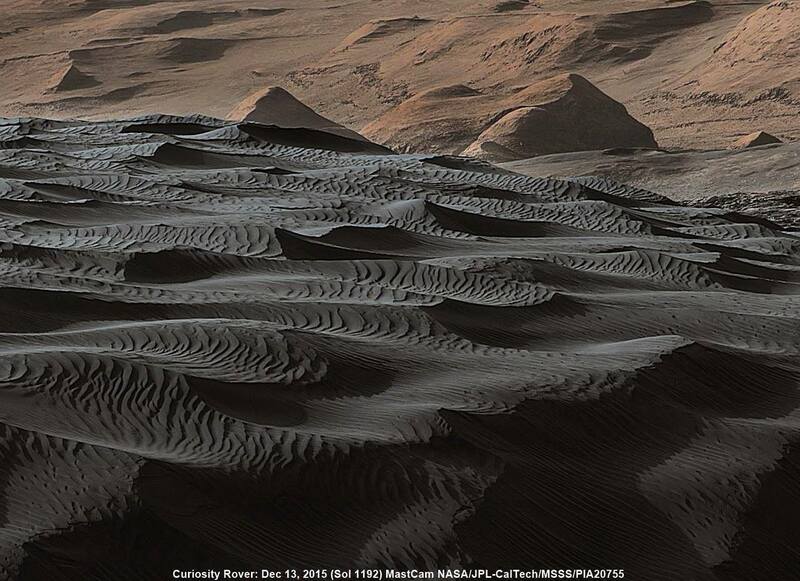 But Mars is not just a source of idle fascination. From the outset it has been important to us. Johannes Kepler in 1605 determined that the Earth orbits the Sun and not the other way round. And to do this he studied Mars’ motion across the sky – showing that it must be orbiting the Sun and not the Earth; and hence that all the planets – including Earth – are likely orbiting the Sun too. And as mentioned in the previous section, from the invention of the astronomical telescope at time of Kepler and through the centuries, the Earth-like nature of Mars became every more compelling; culminating in the famous and controversial Mars Canals episode that lasted from around 1850 to 1960. From the best telescopes available in the late 19th century, astronomers such as Schiaparelli and Lowell claimed to see dozens of straight line channels of canals across the surface of Mars, while other leading astronomers like Antoniadi and Barnard saw no such features. For decades the astronomical community was split on the issue, so much so that when H.G Wells wrote The War of The Worlds around 1897, it was based not on fantasy but on a widely held scientific opinion that an ancient race of Martians capable of constructing a planetary canal system had lived there in its distant past. 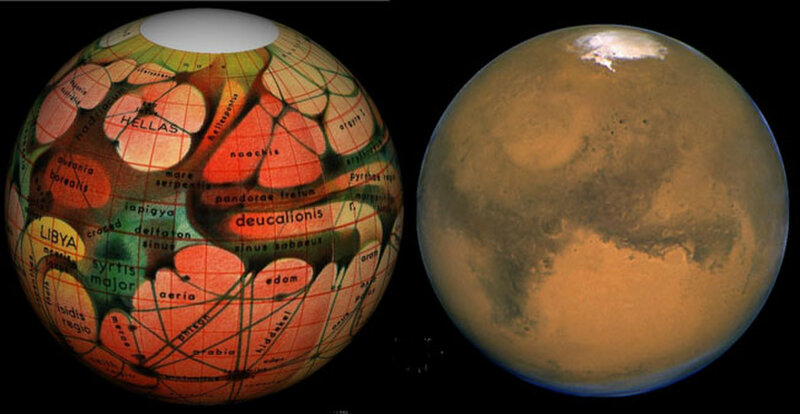 As a result of this controversy however, Mars became increasingly taboo as an object of scientific study during the first half of the 20th century. Of the one thousand or so professional astronomers in the US at that time, barely a handful would have anything to do with Mars. 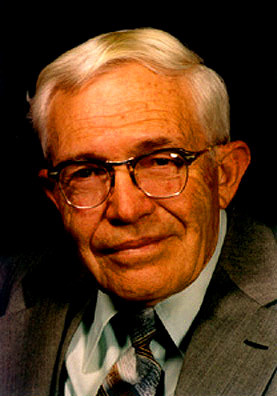 All of that changed in the 1950s with the discovery of a biochemical and microbiological context for life. 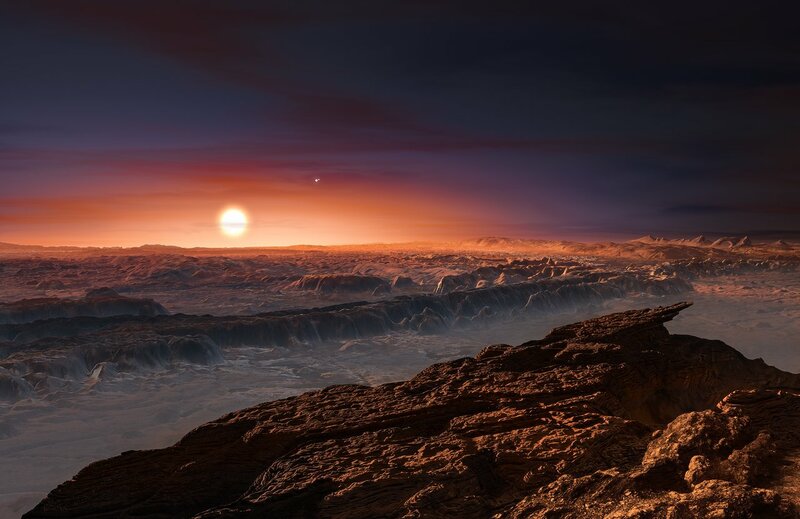 Leading and Nobel winning scientist such as Lederberg, Calvin and Sagan reasoned that if the origin of life on Earth had a planetary context rooted in molecular chemistry, then it might be that life similarly arose on other planets too. And so from the birth of the US Space Program in the late 1950s President Eisenhower demilitarised institutions such as the Jet Propulsion Laboratory (JPL) in California and charged them with devising a civilian planetary science program to explore the planets of the Solar System, with Mars – and what it might have to say regarding a planetary context for the origin of life – at the top of the list. The Mariner space probes of the 60’s and the Viking 1 & 2 Landers and Orbiters of the 70’s scrutinised the planet in search of evidence of past or present microbial life there; but the result were so overwhelmingly negative that by 1980 NASA had all but shut down its Mars program; and so for a second period in the 20th century Mars was a no-go area for much of science and space exploration. Despite this setback, the 100,000 or so images of Mars obtained from orbit provided planetary scientists with a treasure trove of information about the planet. From 1980 to 1996, they pieced together a broad history of the planet from four billion years ago to the present day; and what they uncovered laid the foundation for the current revolution in Mars exploration we know today. Revealed was evidence of a planetary surface which over three billion years ago harboured thousands of flowing rivers, including many lakes; as well as planet-wide tectonic and volcanic activity that likely lead to the creation of a dense atmosphere. It appears that Mars’ distant past, called the Noachian period, was a very active one in ways similar to Earth – and critically – in ways that we now believe lead to the creation of the first microbial life on Earth. So strong was this evidence that a 1996 document titled “An Exobiological Strategy for Mars” even rated the chances of life originating on Mars as about equal to Earth. This was sufficient for both NASA and ESA to once again engage Mars; and so was born a new era in Mars exploration that persists to the present day. But this time we’d do it right – and thoroughly. That meant doing it in a phased and planned way over many years. Phase one would send orbiters to characterise the planet’s geology and geochemistry globally from orbit, but with surface mapping to single-metre resolution. Next, landers and rovers would travel down to the surface to characterise the planet’s geochemistry to molecular levels; and crucially here, to search for direct evidence of past or present water on Mars. 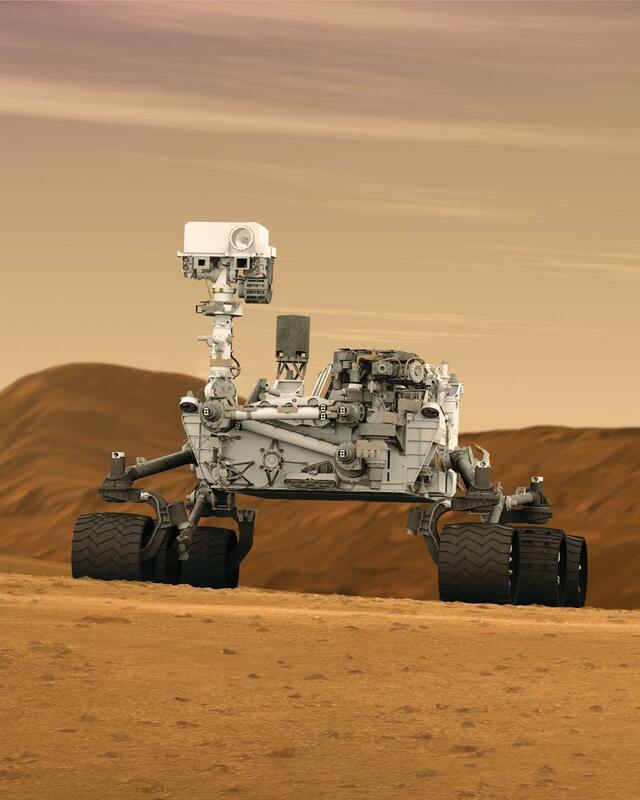 Only then would we be in a position to send exobiological landers and rovers in an attempt to identify any evidence that might point to past or present life-related activity there. Also envisaged are future missions to return samples from Mars to Earth, and even to send people there. And so we have been engaged in this extensive program since 1997. Already there are the orbiters Mars Global Surveyor (1997), Mars Odyssey (2001), Mars Express (2003), Mars Reconnaissance Orbiter (2007), Mars Maven (2014) and Mars Trace Gas Orbiter (2016). Just as many landers and rovers have also successfully landed on the surface: Pathfinder (1997), Spirit & Opportunity (2003), Phoenix (2008), Curiosity (2012) and in 2020 we will see the first exobiological rovers to be sent to the Red Planet: NASA’s 2020 Mars Rover and ESA’s ExoMars Rover. The results from these missions have been hugely successful. We have discovered that Mars did harbour not only rivers and lakes in its distant past, but also seas, and likely a great northern hemisphere ocean too. Tectonic and volcanic activity were so predominant that it is plausible they created an atmosphere even more dense than Earth’s atmosphere today. And with a surface geology essentially identical to Earth’s, there continues a strong possibility that planetary activity occurred there in it’s distant past relevant to origin-of-life processes we suspect gave rise to life on Earth at the same time. Furthermore, we’ve also discovered that Mars is far from being a dead world today. It retains enough water as a permafrost in its far northern and southern latitudes which if melted would cover the entire globe to a depth of 50 metres. Meanwhile the planet likely has a subsurface thermal gradient that might support underground aquifers and hydrothermal systems. But for all of our discoveries to date, major questions persist. For example, we cannot pin down with sufficient accuracy what Mars’ planetary surface conditions were like in its distant past. Was it a clement planet that supported a planetary hydrological system similar to Earth, or did it remain a cold, artic-like world characterised by briny flows and sub-ice sheet liquid water systems? Overall, just how capable Mars was in supporting the kinds of activity we believed important to initiating the first steps toward life remains a mystery. And in all of our explorations to date, the one kind of mission we have not engaged is one to determine the interior structure and activity of the planet. 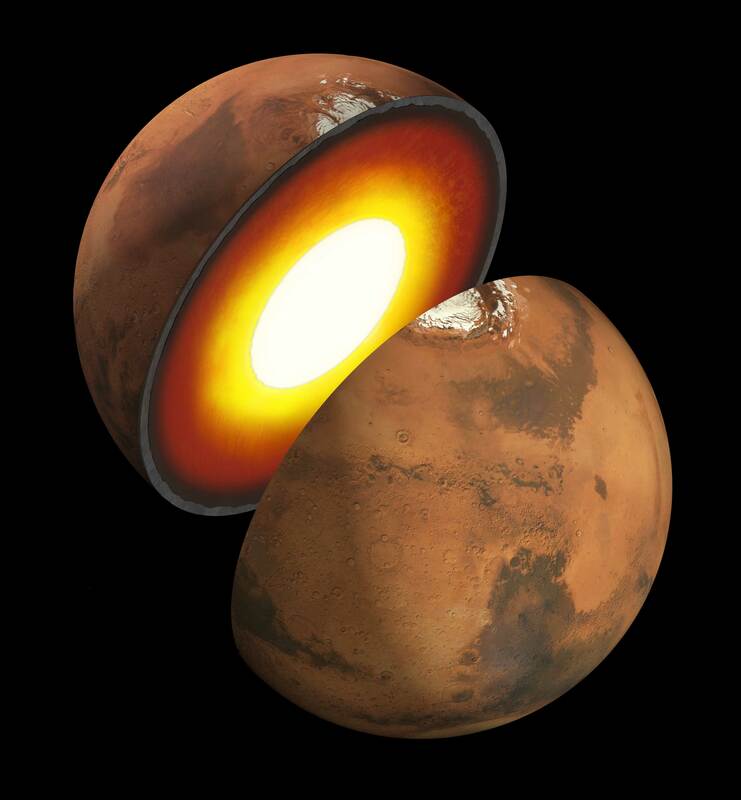 The nature, extent and dynamics of Mars core, mantle and crust remain largely unknown; and since all that happens on the surface is a result of what happens inside the planet, we cannot hope to fully answer our deep-seated questions about Mars’ past and present conditions until we analyse, once and for all, the internal structure and processes occurring inside the planet. And so while we will continue to send exobiological rovers to the planet, and plan for sample return missions and even humans there in the coming decades; it has also become an imperative to send a mission to Mars capable of analysing the interior of the planet. Mars InSight is that mission; and is set on providing radical new insights into our neighbouring world. Unlike the rovers of recent times, Mars InSight is a fixed position lander. Indeed, its success depends completely on landing on as flat a surface as can be found on Mars, and then to remain in one, immovable, position for the entire duration of it’s mission. This is because the nature of the mission is to determine the internal structure and activity of the planet, with all three on-board experiments requiring absolutely stability and as close to zero interfering motion as can be achieved. So what, precisely, are the objective of Mars InSight? Firstly, we hope to understand the formation and evolution of all terrestrial planets by investigating the internal structure and processes on Mars. We can largely achieve this because, uniquely, Mars seems to have internally frozen out in time just as it was getting going as a planet. So, unlike on Earth which has been churning it’s insides for billions of Years, Mars retains an internal planet-scale record of the processes that lead to its formation in the first place. Mars InSight will therefore seek to determine the size, composition and current state of activity of Mars’ iron-rich core, its silicon-rich mantle and its outer crust. As mentioned in the previous sections, such details will not only tell us how Mars itself formed – and therefore provide insights into how all rocky planets form – but will also reveal new details on how and for how long tectonic and volcanic activity persisted on Mars in its distant past, and therefore what its resulting surface conditions were also like. Two experiments on Mars InSight named SEIS and RISE will carry out these investigations; and as we’ll see in the next section, both are surely among the most innovative experiments ever sent to Mars if not into space in general. Indeed SEIS will also enable InSight to identify the magnitude, rate and distribution of seismic activity occurring on Mars today; and also monitor meteorites as they impact on Mars through the vibrations they cause. 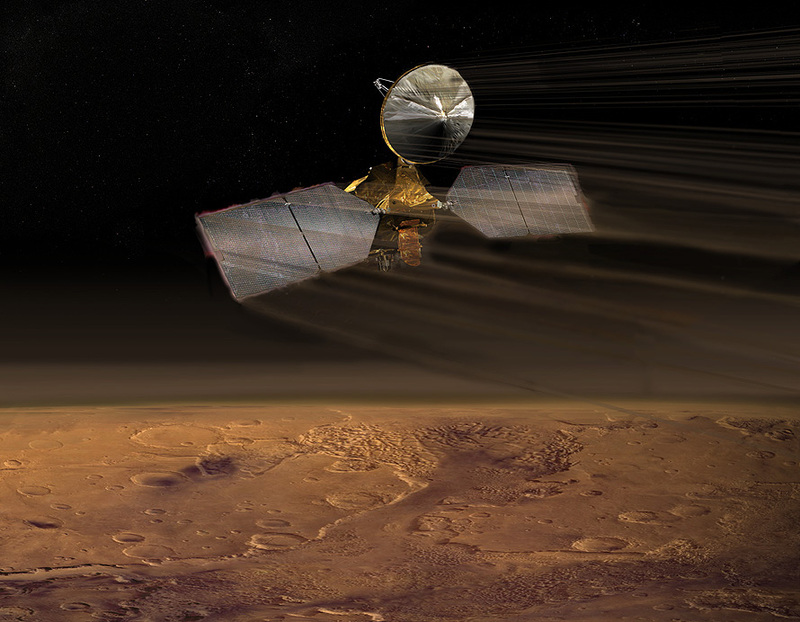 Another goal for InSight is to directly measure the heat being radiated from within Mars. To achieve this, InSight will burrow to no less than 5 metres into the surface and place a thermal sensor rod into the ground that will directly measure the heat emanating from the planet, in so doing reveal much about the internal dynamic processes occurring within the planet today that generate that heat. Although most Mars landers are designed and build by JPL, in this instance Mars InSight Lander was designed and build by Lockheed Martin (LM). 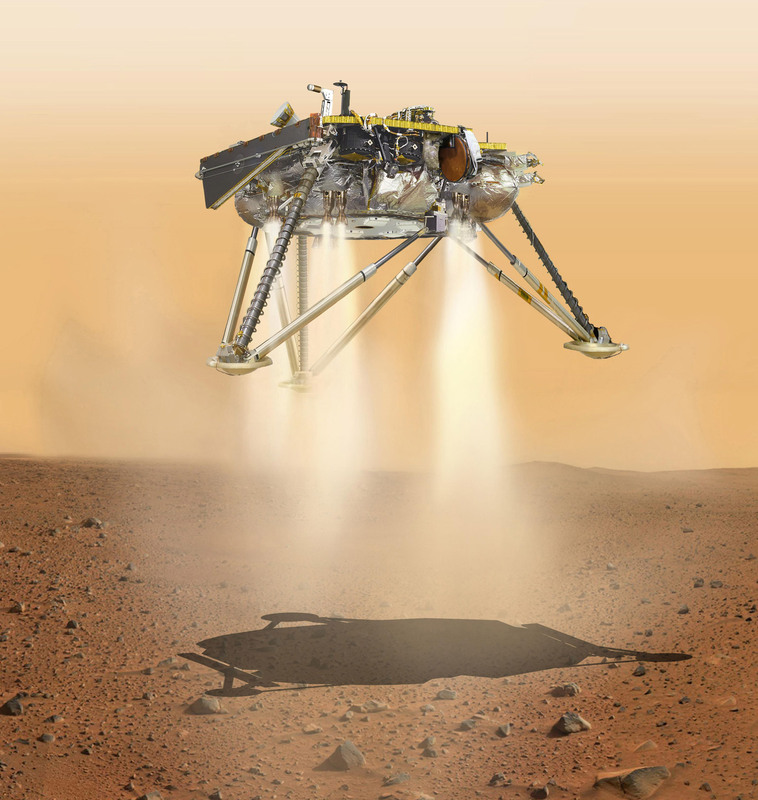 This was a money saving exercise because InSight’s design is heavily based on the 2008 LM built Phoenix Mars Lander which successfully verified the existence of water-ice across the high latitudes of Mars. The lander supports two large flat disc-shaped solar panels with a span of 6 metres, within which is a central platform containing all of the landers required power, telecommunication and computer systems. Sitting upon the central platform is a 2m robotic arm with shoulder, elbow and wrist joints. This robotic arm will lift from the platform and deploy onto Mars’ surface two of the three main experiments from the lander – the SEIS seismometer, and the HP-Cubed Thermal Burrowing Rod. Once deployed on the surface at about 1.5 metres from the lander, both SEIS and HP-Cubed will remain connected to the lander via tethers containing the required power and data communications cables needed to communicate with the lander. This will be the first time ever that a robotic arm deploys experiments from a lander platform to the surface of another world. Both SEIS and HP-Cubes are European designed and build: SEIS by the French Space Agency (CNES) and HP-Cubed by the German Space Agency (DLR). 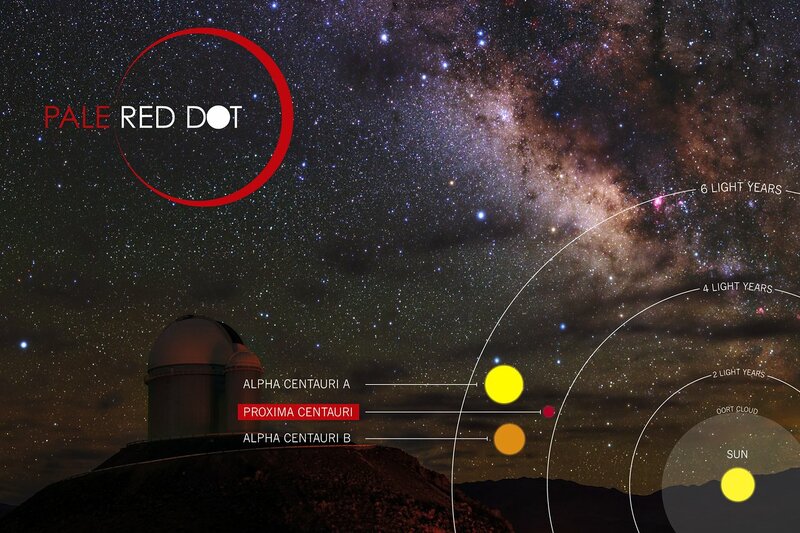 Other on-board sensors for measuring air temperature, pressure and wind speed were built and designed by the Spanish Centre for Astrobiology (CAB). All told, about two thirds of the instruments on InSight are of European origin. And it’s also worth mentioning that Irish scientist Dr. Michael Moloney was Director of The Space Studies Board for The National Academy of Sciences who authored the decadal plan document titled “Vision and Voyages for Planetary Science in the Decade 2013-2022” from which the Mars InSight mission arose. SEIS is a seismometer composed of six sensors capable of monitoring Mars seismic activity, including marsquakes anywhere on the planet. 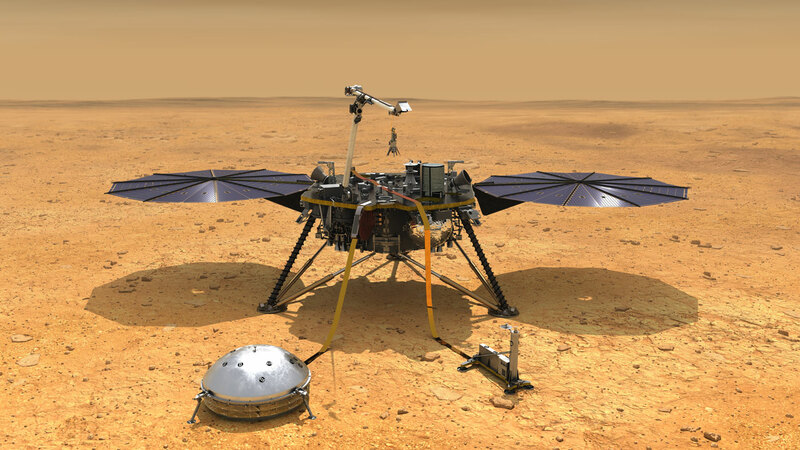 The instrument is placed onto the surface of Mars by the InSight robotic arm, and has a protective case to shield it from wind and dust movement (wind gusts on Mars can be up to 120km per hour). The Spanish made air temperature and pressure and wind sensors will be vital in enabling us to determine whether detected vibrations are from true seismic activity or caused by local air pressure or wind induced vibrations. With the seismometer capable of detecting vibrations with frequencies from 1/1000th of a Hertz to 50 Hertz, and with an ability to detect seismic primary (P) and secondary (S) waves, it will be able to detect both the direction and distance travelled from origin of any seismic activity. The instrument is so sensitive that it can detect a movement within its inner workings less than the width of a single hydrogen atom; and it is through such extraordinary sensitive and innovative design that it will examine the internal structure of the planet down to the mantle. 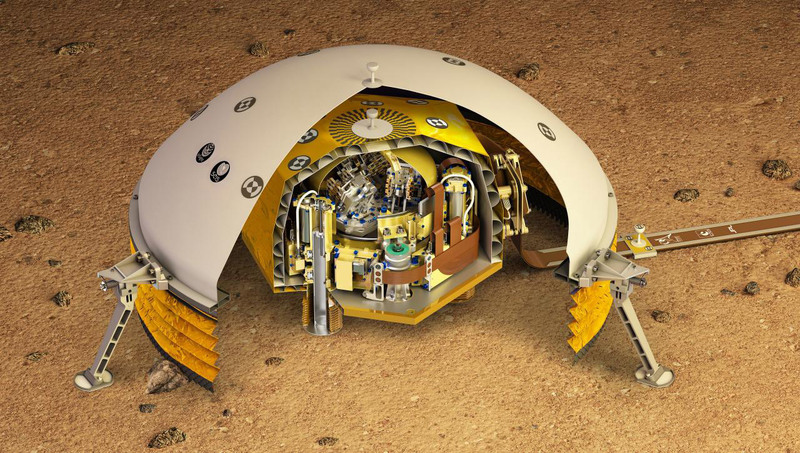 This German Space Agency built instrument is the second of InSight’s instruments to be deployed onto the surface via the robotic arm. HP-Cubed is a self-burrowing mole. Over a 30 day period and with upwards of 20,000 burrowing strokes, HP-Cubed will burrow between 10 to 16 feet (3-5 metres) below the Martian surface. Once in the ground, it will use thermal sensors along its length to identify any heat coming directly from within Mars and in so doing reveal much about the interior heat engine of the planet – that is – how active Mars is internally today. Among the most impressive aspect of this mission is the JPL designed and built RISE Instrument, to determine the internal structure of Core of the planet. RISE will do this by monitoring minute timing changes in Mars’ rotation. And it will do this using one of the most innovative ideas surely ever conceived in space exploration. The instrument is based on the principle that all rotating objects try to resist any impulse that causes them to rotate (called inertia). Furthermore, objects that are the same size but different in internal make up will resist that impulse differently. For example, a raw egg will not spin as well as a hard boiled egg, because the raw egg has a fluid interior which resists rotation more than the solid-interior hard boiled egg. And, if you change how such an object rotates, then each will resist that change in or impulse causing the rotation differently. Finally, we can even determine what the internal make up of an object is by how it resists such change in rotation. So for RISE, it will monitor how Mars reacts to minute changes in its rotation by monitoring minute time changes in the length of its day (to the order of millionths of a second); and from that (and using some heavy maths!) infer what its internal structure is – whether the core is solid or fluid, what size it is, and so on. So one might ask: what is it that is going to cause Mars’ rotation period (it’s length of day) to vary by minute fractions that RISE is going to monitor? The answer is mind boggling, and utterly unique to the planet Mars. As winter moves from, say, the southern hemisphere of Mars to the northern hemisphere then Mars will transfer no less than 15% of its atmospheric CO-2 – 40 Trillion Tonnes – from it’s southern polar ice cap to its northern polar ice cap. And this will cause Mars to wobble by a tiny amount, affecting it’s length of day by tiny fractions of a second as the seasons proceed; and it is these minute time variations on a day to day basis that RISE will monitor, so as to determine the size of that wobble, and hence the internal make up of he core of the planet! Mars does this gargantuan CO-2 transfer – back and forth – every Martian year – 40 Trillion Tonnes of CO-2 from south to north and then north to south – over and over through the ages. And it is this vast CO-2 transfer that RISE is going to monitor, determining how this shift of CO-2 affects how Mars rotates over the duration of one Martian year. How RISE measures the timing difference of Mars rotation is equally intriguing. It will measure the time of Mars rotation by sending radio signals back to Earth continuously for a full Martian year – whereby we on Earth will receive those radio signals on a near-continuous basis and from that determine the position of the Mars Insight RISE experiment to an accuracy of just 10cm (that’s to an accuracy of one part in 10 trillion, or 10 million times more accurate than GPS) – and from this, determine the variations in timing of Mars’ rotation with extraordinary accuracy. Then, as the planet’s rotation varies, we’ll be able to also monitor how it’s inertia is resisting that rotation change – and from this, figure out what the internal structure of the planet’s core is. This is why InSight’s primary mission must be for at least one Martian year – so that we can witness the transfer of CO-2 from pole to pole and back again and the associated Mars wobbling; and if all goes well, we’ll use this gargantuan natural process on the planet to determine Mars interior core structure. Surely one of the most innovative science experiments ever devised, and a true benchmark of how far we have come in the exploration of our next door neighbour world. One of the most intriguing aspects of this entire mission was the decision to launch and deploy two other tiny space probes with Mars InSight and send them to Mars as well. 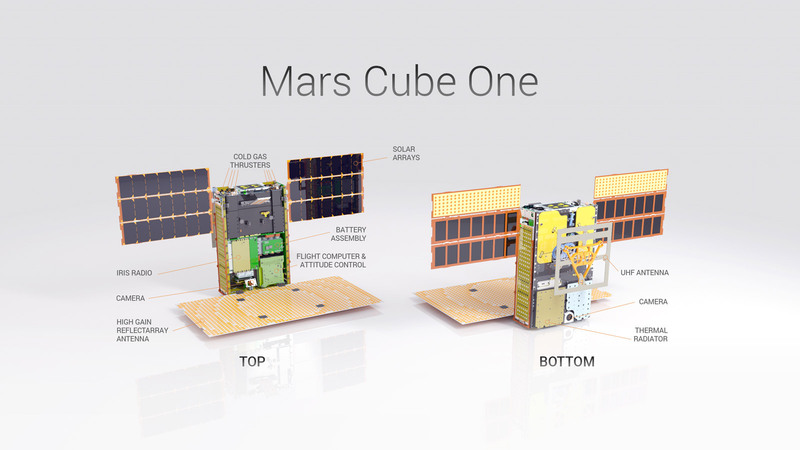 Called Mars Cube One A and Mars Cube One B (MarCO-A and MarCO-B for short) these two Cubesats – each about the size of a 1-litre carton of milk – were launched by the same Atlas V rocked that sent InSight to Mars, whereby they separate from the Atlas V launcher a shortly after InSight had successfully separated (for safety), then tasked with making their own journey all the way to Mars. And so what has been travelling to Mars over the past six months has not been just the Mars InSight lander, but a mini-convoy of three space probes – InSight and the two tiny MarCo’s. This aspect of the mission was deemed completely exploratory. The success of InSight does not depend on any way on whether the MarCo’s made it all the way to Mars under their own steam – but as of the writing of this blog – just one day before they reach Mars, I can happily report that they have been an overwhelming success, having reached the Red Planet. Indeed they have by now verified that such tiny probes can be sent into deep space and as far as Mars; and even correct their trajectories on route operating with a total power of just 17 watts of solar power each. And with thruster propellant for course corrections composed of the same material in the fire extinguisher in the film Wall-e, it has been decided to rename MarCo-A and MarCo-B as Wall-e and Eve! These tiny probes point to a new and innovative way of doing planetary exploration into the future. And, as small as the MarsCo’s are, they are equipped with more advanced telecommunications equipment than on the huge Mars Reconnaissance Orbiter (MRO) in orbit around Mars since 2007 and which will act as the primary telecommunications relay for InSight over the next year. 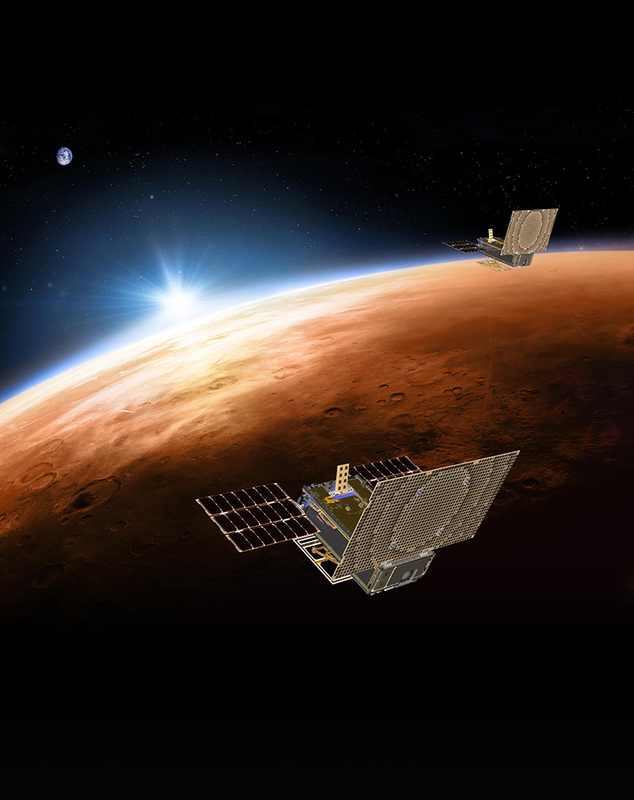 While MRO can only receive or transmit radio data to/from Mars or to/from Earth at any one time, both MarCOs can receive AND transmit simultaneously. So, when InSight is landing, MarCO-A and MarCO-B will be monitoring InSight continuously, and if all goes well, will relay information about InSight’s landing back to Earth in real time for the first time ever (with just an 8.1 minute light-time delay from Mars to Earth). MRO would have to communicate with Insight, and only after it landed, then start to communicate with Earth about the landing – a delay of an extra hour. Overall, the MarCo’s represent an exhilarating new development in planetary exploration, and at a cost of a mere $18 million each – about 2% the cost of a traditional planetary probe, are by now garnering significant interest globally. Subsequent to its 205 day ‘cruise phase’ from Earth to Mars, InSight has to ready itself for entry and descent through the Martian atmosphere, and landing on the surface. Cruising at six times the speed of a high velocity bullet at about 18,000 kilometres per hour (kph) and having to slow to just 5 kph at a height of just 50 metres above the Martins surface in only 7 minutes; the Entry, Descent and Landing phase of a Martian lander is termed the “7 minutes of terror” by NASA and JPL. •	Upcoming EDL – 6.5 minutes from cruse to surface – almost 7 minutes of Terror: Mars atmosphere dense enough to burn the space probe up if unprotected, not dense enough to use only a parachute to soft land it! 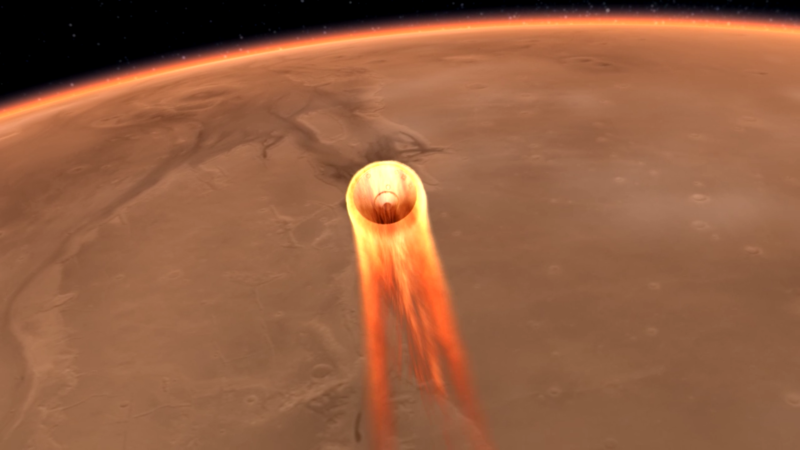 •	Atmospheric entry: InSight enters the atmosphere at 12,300 kph with respect to the Mars surface, whereby the heat shield remove 99.5 % of Kinetic Energy of the space probe. •	For two more minutes (to 3.5 minutes in) the space probe continues to decelerate at 7.6 ‘g’ to 2000 kph, whereby the head shield is jettisoned and, now at just 11km from the surface, a huge 12m parachute deploys. 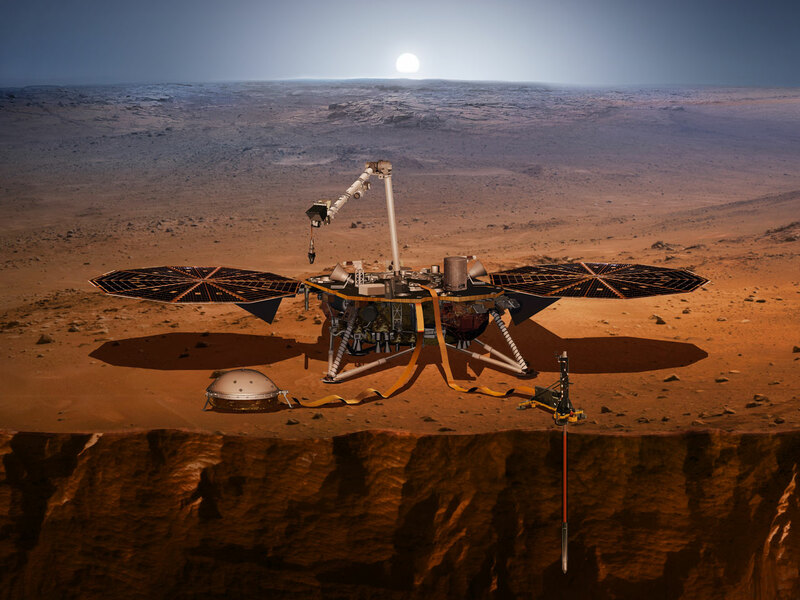 •	Insight’s shock absorbing legs shut off the retro thrusters – sending a UHF landing signal which MarCo-A and B will pick up and transmit to Greenbank, Max Plank and Canberra Deep Sky Network back on Earth (MRO and Odyssey will also receive this signal and relay it back to Earth). If all worked, InSight will have landed safely on Elysium Planitia; a vast area on Mars once among the most tectonically and volcanically active regions on the planet. The location Insight will set down will be just north of the equator at 4.5 degrees north, 136 degrees east – some 550km from where the Curiosity rover landed in Gale crater. While Elysium Planitia is incredibly flat and therefore hopefully ideal for InSight operations, there is strong evidence from orbital investigations that the region has also been tectonically active as recently as 20 million years ago – meaning – the current geological epoch of the planet. It may turn out to be an intriguing location with regard to current seismic activity. Ground operations commence immediately and autonomously within minutes of touch down – including taking some images and transmitting back to Earth. If MarCo-A and B are still operating, those images may be relayed back to Earth as soon as 20 minutes after landing, or before 20.30 hours local Irish time on Monday 26th. Just 16 minutes after landing, InSight must deploy its solar panels. Operating on battery power, it must rapidly start to harness solar energy or it would otherwise shut down prematurely! It’s primary mission – to last one Martian year plus 40 days – will commence only after 10 weeks of instrument testing and calibration, whereby the robotic arm will finally place the SEIS and HP-Cubed instruments gently onto the Martian surface. Indeed in placing SEIS onto the ground, it will first place the instrument itself down, and as a separate operation carefully cover it with the wind and dust shield. Cameras on board the rover will hopefully reveal this elegant operation taking place, so it will be worth keeping an eye on InSight operations over the coming seeks. The sinking of the HP-Cubed heat probe will take an additional 7 weeks to complete, after which all of InSight’s instruments will work silently away on the surface until at least November 2021, and most likely well beyond. While InSight will not deliver the spectacular image vistas of the likes of the Opportunity and Curiosity rovers, the science it is set to uncover over the next two years will radically transform our understanding of the Red Planet. To follow Mars Insight’s landing – and beyond – check out the links below. The 7 minutes of terror actually start at 19.40 UTC (local Irish time) and the probe due to land at 19.47. if all goes to plan the MarCo probes could let us know if they are safely on the Martian surface as early as 19.54 hrs. To be sure to catch all the live events, I’d recommend tuning into NASA TV online at 19.30 at the latest, and expect to have to wait to upwards of 21.00hrs for a confirmation of the landing from MRO in the event that the MarCo’s don’t transmit a live signal back to Earth. However it pans out, it should be an exciting few hours – hopefully not of terror! On Wednesday 6th of August 2014 and after a mammoth 10-year journey across the Solar System, the European Space Agency space probe Rosetta will rendezvous with a comet called “67P / Churyumov-Gerasimenko” (67P/CG) – a tiny icy worldlet just 4-5 kilometre long orbiting the Sun in an elliptical orbit and currently several hundred million kilometres distance from Earth. By Wednesday 6th August, Rosetta will have settled into a 25-kilometer orbit around 67P/CG. In November 2014, a small automated Lander called Philae attached to Rosetta will be sent down to the surface. Both spacecraft will continue to travel with the comet for the next 16 months as it circles and approached the Sun (closest approach on August 13th 2015); scrutinizing its composition and behaviour as the Sun’s heat transforms the tiny frozen world into a hive of volatile activity that temporarily swells it into a gaseous entity many millions of kilometres in size. By analysing the comet with a suite of 22 instruments, Rosetta and Philae will conduct a comprehensive analysis of the material makeup of the comet that will provide important new information regarding the origin of Earth, Earth’s oceans and life itself. Rosetta is a European Space Agency (ESA) mission to orbit and land on comet 67P /Churyumov-Gerasimenko (“67P/CG”) as it circles the Sun. The primary mission lasts from August 6th 2014 to December 31st 2015. It is a mission made up of a main Rosetta space probe orbiter and a smaller lander attached to Rosetta named Philae. Rosetta will settle into orbit on August 6th 2014 and continue to orbit the comet over the next 16 months. In November 2014 Philae will land on the comet’s surface. 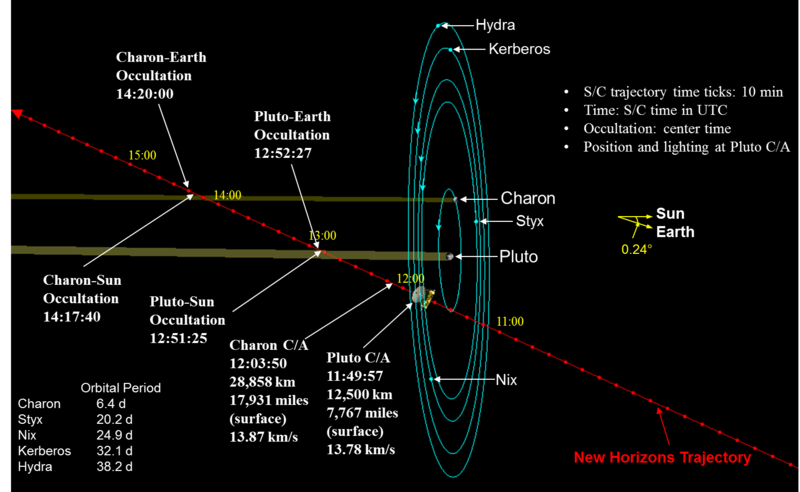 Both will travel with the comet as it orbits the Sun and reaches closest approach to the Sun on August 13th 2015. Comets are made up of icy volatile materials like water and carbon dioxide, as well as dust and other materials. So as 67P/CG approaches its closest point to the Sun in its orbit (called perihelion), its volatile materials will heat up and sublimate, forming a vast spherical gaseous coma and perhaps a tail, both of which will be more rarefied than the air we breathe and reach for millions of kilometres into space. Since 67P/CG does not approach the Sun too closely (as some other comets do), it is not likely to become as chaotic a ‘volatile cauldron’ as those which travel much closer to the Sun. 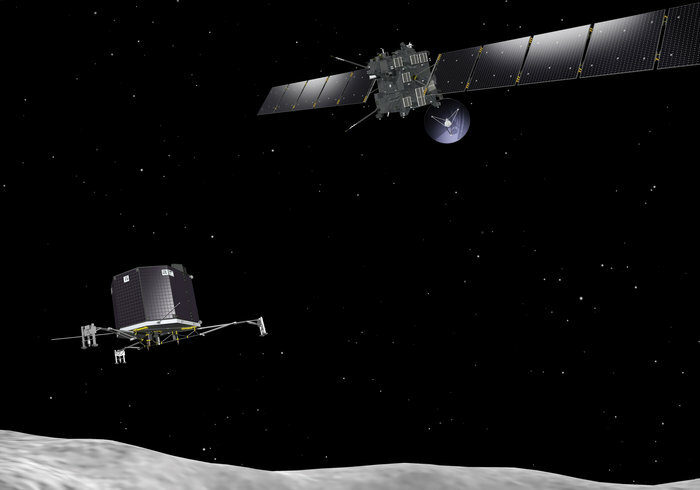 While Philae will measure the composition of, and activity on the comet directly from the surface; Rosetta, orbiting at a distance of just 25km, will also measure the volatile materials emanating from the comet into its immediate space vicinity, and indeed will be able to see how the comet changes and reacts to the Sun’s heat and solar wind as they move closer to the Sun in August 2015. The data gleaned from the comet will reveal its internal makeup and composition, including any organic materials present, to the atomic and molecular levels; providing significant new insight into the origin of the Solar System, the origin of Earth and its oceans and the origin of life. Because no current rocket (including the powerful ESA Arianne-5 rocket upon which Rosetta was launched) has the capability to send such a large 3-Tonne spacecraft directly to a comet such as 67P/Churyumov-Gerasimenko, Rosetta was ‘bounced around the inner Solar System like a cosmic billiard ball’, during its ten-year trek to Comet 67P/Churyumov-Gerasimenko. Since its launch in 2004 from Kourou in French Guiana, Rosetta has criss-crossed the inner Solar System four times, has travelled over 6 billion kilometres, including availing of three gravity-assist flybys of Earth (2005, 2007 and 2009) and one of Mars (2007); and is finally due to arrive at comet 67P/CG – just 4 to 5 kilometres in length – at a distance of several hundred million kilometres from Earth. Rosetta’s 10 year deep-space odyssey comprised lengthy periods of inactivity, punctuated by relatively short spells of intense activity when encountering Earth, Mars, and several asteroids. Ensuring that the spacecraft survived the hazards of travelling through deep space for more than ten years has been one of the major challenges of the Rosetta mission, and has been hugely successful to date. To that end, Rosetta was placed in hibernation between June 8th 2011 and January 20th 2014 in order to limit consumption of power and fuel. During that lengthy hibernation, the spacecraft rotated once each minute while facing the Sun for solar power; with the only electrical systems kept running being the radio receivers and command decoders. 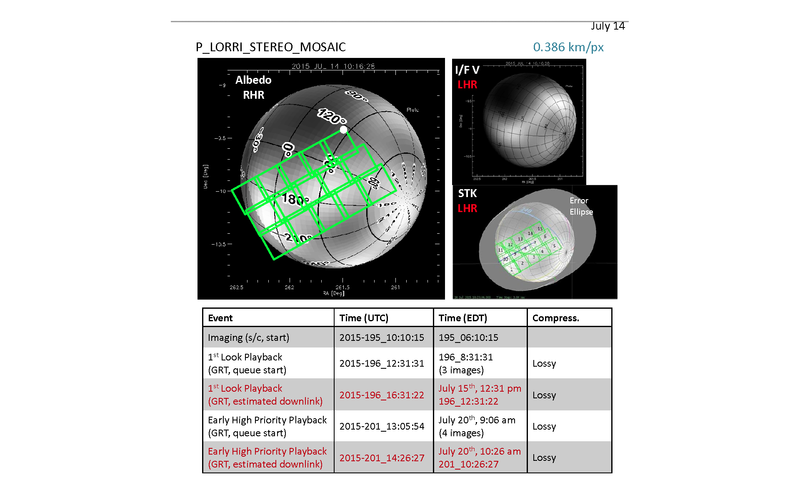 On January 20th 2014, a “wake-up” command was sent to Rosetta. ESA scientists were hugely relieved that the dormant spacecraft received the command and awoke from its hibernation in excellent health and ready to take on all challenges ahead of it. Since its reawakening in January, Rosetta has been steadily approaching the comet. For the past 90 days or so, it has been moving at only about 2 metres per second with respect to the comet. As you read this, the space probe is imaging the comet, allowing ESA scientists and engineers to determine the comet’s size, shape and orientation and rotation; allowing for Rosetta to complete its orbital insertion, which takes place on Wednesday August 6th 2014. Using its approximately 1.7 Tonnes of propellant, the space probe’s propellant system and 24 thrusters recently manoeuvred the probe into an orbit just ahead of the comet, with the final orbit about the comet to be established on August 6th. Rosetta will then start its science program, using eleven different instruments to photograph and map the comet to great precision, determine its internal structure and monitor any gas and dust emanating from the surface. Once the comet has been mapped, five potential landing sites will be identified. Once ESA scientists have determined the best one, they will plan for a November landing. At that time Rosetta will move to within 1 kilometre of the comet, and release the lander Philae, which will set gently down on the comet at walking pace. Once secure on the surface, it will anchor itself to the comet (because the comet’s gravity is too small to securely hold the lander on the surface) and proceed to conduct a series of sophisticated experiments, including drilling into the comet’s surface and placing surface materials into the body of the lander where their makeup can be determined to atomic and molecular levels. Comet 67P/CG is known as a Jupiter-class comet, meaning that its orbit is affected by the strong gravity of the giant planet Jupiter. Indeed Jupiter changed the orbit of 67P/CG in 1959, so that now the comet travels on an elliptical orbit that brings it to within 185 million kilometres of the Sun at closest approach (perihelion) and out to over 850 million kilometres at its furthest (aphelion). Over the next 16 months and during the next perihelion on August 13th 2015, both Rosetta and Philae will monitor, image and measure all that happens on and around the comet as it draws nearer to the Sun. As already indicated, because 67P/CG will not travel too close to the Sun, so it is not expected to become as chaotic as comets which venture much closer to the Sun. Nevertheless, there will be plenty of activity, and as of June 2014, Rosetta has already begun to see small quantities of water emanating from the comet, and such activity will but increase greatly over the next year or so, providing both probes with an unprecedented opportunity to examine the makeup, composition and interaction of the comet as it orbits about the Sun. 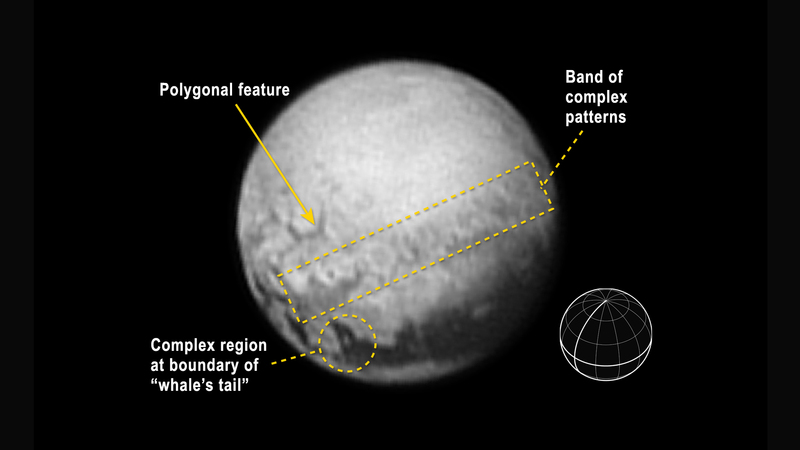 So how will Rosetta and Philae do all of that? The Rosetta orbiter contains no less than 11 scientific instruments including cameras for imaging the comet, a thermal camera to determine its material makeup, a type of radar know as radio-sounding that can penetrate the comet and determine its interior makeup, a mass-spectrometer and dust analyser to analyse materials emanating from the comet and plasma and magnetic field analysers for monitoring the interaction of the comet’s materials with the Sun’s solar wind and magnetic field. Philae’s science package of 10 instruments is arguably more sophisticated; and includes an Alpha Proton X-Ray Spectrometer (as on the Mars Rovers) to determine the elemental makeup of the surface, a drill to drill into the surface and place samples into its body where a suite of instruments will determine the molecular makeup of the materials, including organic materials, and even determine the isotopic nature of the elements (critical for determining whether comets were the primeval source of all of Earth’s water). Radio-sounding and acoustic instruments will measure the internal structure of the comet, while high resolution cameras will image its surface. 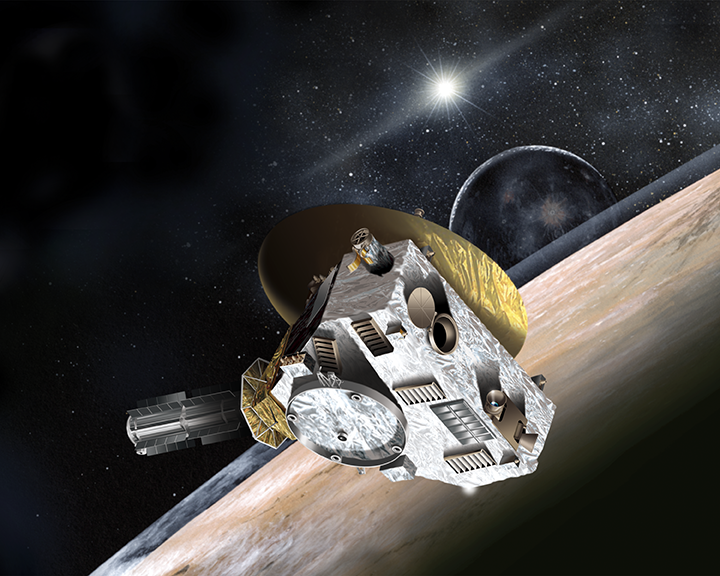 Both the orbiter and the lander will conduct a suite of hard-science experiments typical of modern analytical laboratories. The instruments on board both Rosetta and Philae are more sophisticated than those on the Mars Exploration Rovers Spirit and Opportunity, and on a par with most of the instruments on the Mars Science Laboratory Curiosity; constituting one of the most sophisticated space science missions ever conducted. Comets are tiny icy worlds usually only single kilometres in diameter. They are remnants of formation of the Solar System 4.6 billion years ago. As the Sun formed, countless trillions of tonnes of volatile materials such as water, carbon dioxide, ammonia and methane, as well as organic materials to the complexity of nucleic acids and amino acids that make up DNA ad proteins in life as we know it, were synthesized in the proto-planetary disk surrounding the Sun. What is so crucial about comets is that they retain a record of the actual synthesis of both volatile materials such as water and carbon dioxide, and of organic molecules to the complexity of genetic nucleotides and amino acids known to be important to life as we know it, in the region of the Sun before the Earth itself had formed. Hence “67P CG” represents one of a vast family of objects that are potentially older than the Earth, retaining a pristine record of complex chemistry occurring about the Sun relevant to the formation of life on Earth before and when the Earth was taking form. For this reason, comets are seen as very important in our search for the origin of the Solar System, of Earth and its oceans and of life itself. Given that we still have very little idea as to how life originated, studying such primeval evidence as retained in comets constitutes one of the most important endeavours in science. The Rosetta mission is arguably as important as the Mars exploration programme in search of evidence of origins on Mars, and perhaps The Hubble Space Telescope and the CERN Large Hadron Collider, both of which are currently revolutionising our understanding of the nature, origin and fate of the Universe itself. •	What is the origin of Earth oceans? In particular, is the water making up our oceans indigenous to our planet, or did it arrive from a mass bombardment of comets, asteroids and meteorites known to have occurred billions of years ago? •	Where did the basic organic materials for life originate – from organic synthesis on our planet, or from organic materials within comets and meteorites manufactured in the vicinity of the Sun before and during Earth formation? The Rosetta mission may go some way toward answering both of these fundamental questions, among others. And so we can see why this mission is named Rosetta. As with the Rosetta stone which allowed modern society to decipher the hieroglyphics of ancient Egypt – the Rosetta mission to 67P/CG may provide the cipher to enable us to better read the cosmic book of life – to see better the connection between the origin of life on Earth and its connection to the origin of the Solar System; and to link the origin of life on Earth to a deeper insight into the cosmic abundance of life. This opportunity has been afforded to us through the technological and scientific endeavour of our ancestors and current generation of scientists alike, and we have taken that opportunity. To not do so would be a dereliction of duty to ourselves, to society, to our place in the great unfolding human story and to future generations who will need the insights we glean from this mission to make new and ever more enlightened decisions and undertake new endeavours to better understand who we are, where we have come from and what our cosmic fate can be. I recommend that you follow the Rosetta mission over the next 16 months or so via the following links. In the Documents section of this blog (see Menu at top of Blog) you will also find a downloadable PDF document titled “TPS_ESA_Rosetta” containing this blog in a more bullet-point format, as well as containing greater detail on both the Rosetta Orbiter and Philae Lander and their science instruments, as well as a set of images including source URSs to hi-res versions, and required credits should you use any of the images. 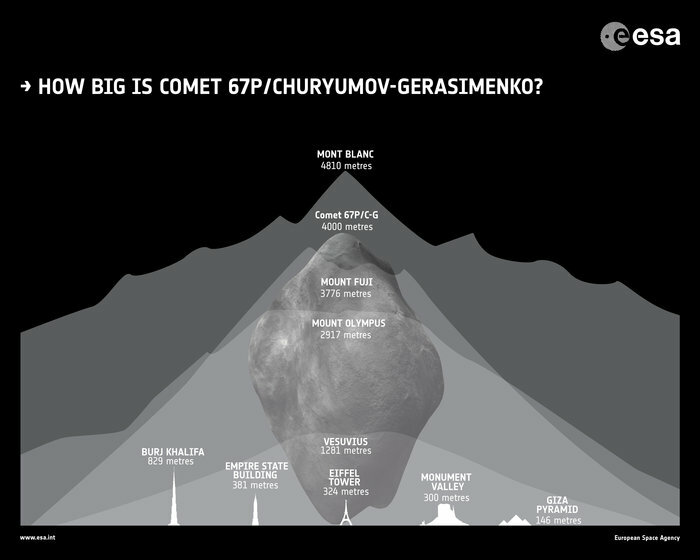 Caption: Illustration showing the relative size of comet 67P / Churyumov-Gerasimenko to well known features on Earth. Though huge on a human scale, comet “67P” is a small celestial body and possesses only a very weak gravity. 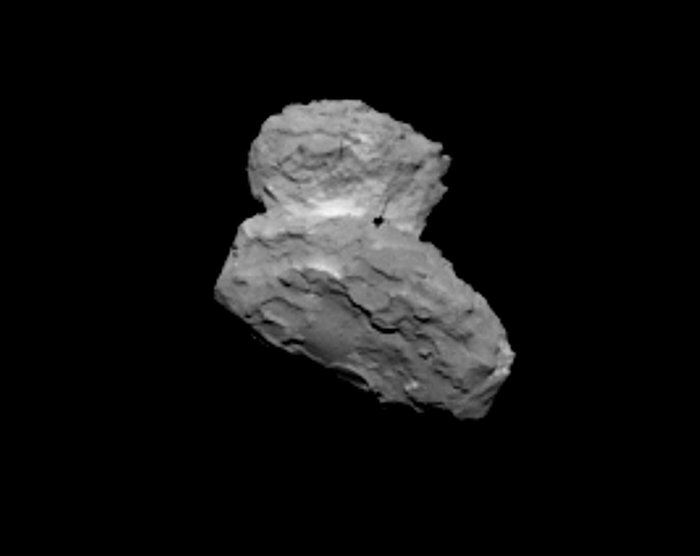 Caption: On 1st of August, Rosetta took this image of comet 67P / Churyumov-Gerasimenko, revealing it to be a double lobed, peanut shaped object. It’s been some time since I’ve blogged! I had hoped to blog a tad more regularly, but it’s becoming clear to me that it’ll take longer to get up to speed with regular blogging (with worthwhile content!). So I’m still in a phase of extensive research and literature surveying for intended blogs on the future of Mars exploration, the changing landscape of space exploration and related sociological issue. When all of that is complete it will hopefully lead to some insightful blogs as there are many changes taking place right now in how space exploration is being planned and pursued, and on how people in general perceive it – and with MANY outstanding and issues too. Watch this space! –	Cause: Earth’s axis is tilted by 23.5 degrees, it is spinning and it is orbiting the Sun. So in summer Earth is tilted toward the Sun and we see it higher in the sky, in winter we’re tilted away from the Sun and we see it lower in the sky, and for every other day of the year the Sun reaches a height at noon between those extremes. –	To help visualize this, concentrate first on the extremes. So in summer we’re tilted 23.5 degrees towards the Sun meaning that when it rises into the sky it reaches a great height. Conversely in December we’re tilted 23.5 degrees away from the Sun so we see it correspondingly lower in the sky. On the equinoxes we’re neither tilted away nor toward the Sun so it reaches an interim height – and we get 12 hours day and night. Of course the Earth is always tilted at 23.5 degrees – that doesn’t change through the year; what we’re interested in here is the orientation of that tilt with respect to the Sun, and at the equinoxes the Earth is tilted at 23.5 degrees for sure, only neither towards nor away from the Sun. –	Each place on the Earth experiences the same affect but to differing amounts depending on its latitude on the globe; so every location in the northern hemisphere sees the Sun at its highest point in their sky on June 21st. –	We don’t see the Sun actually move from west to east throughout the year, rather we see it at about the same position at the same time each day, with the background stars (from our line of sight) changing accordingly throughout the year. To visualize this, imagine asking a friend to stand still while you walk around them keeping your eyes firmly fixed on them at all times. As you circle your friend they will stay in the centre of your field of view. However, what you see behind them will continuously change as you circle them. It’s like this for the Earth circling the Sun. We see the Sun at approximately the same place in the sky at the same time each day, but the stars or constellations behind the Sun change as the year passes by. 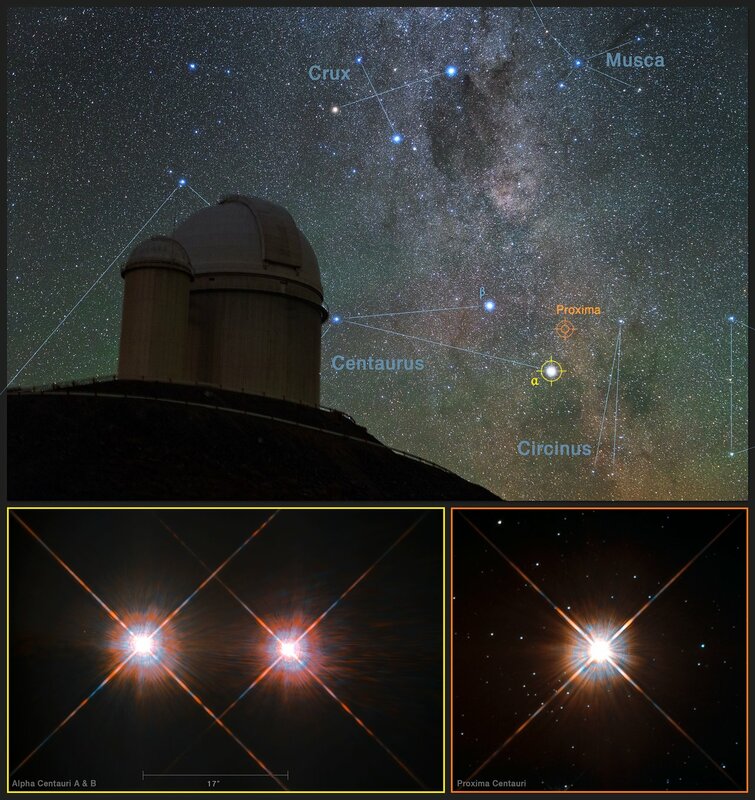 –	So as Earth orbits Sun it appears to move in relation to the background stars. Ancient civilisations organised groups of stars in the sky into patterns called constellations; and the Sun passes through one constellation per month. Hence the 12 constellations it passes through are called the constellations of the zodiac, and are named: Pisces, Aries, Taurus, Gemini, Cancer, Leo, Virgo, Libra, Scorpio, Sagittarius, Capricorn and Aquarius. The path around the sky through the zodiac that the Sun appears to travel is called the ecliptic. –	But the tilt of the Earth has a significant effect on the Sun’s apparent yearly motion about the sky in a vertical sense (as in: higher in summer and lower in winter), and is the cause of us having longer days in summer and shorter days in winter. –	Because the Earths axis is tilted by 23.5 degrees the Sun moves around the sky once a year on a path that is tilted at an angle of 23.5 degrees to the celestial equator (the extension of the Earth’s equator into the sky that divides the sky into north and south). So the Sun’s yearly path is a great circle in the sky (called the ecliptic) that intersects the celestial equator at an angle of 23.5 degrees and so the Sun appears to travel from south to north and back again in a cyclical manner over its yearly path. The Sun is below the celestial equator for 6 months and so appears in southern part of the sky, and is above the equator for 6 months and appears in the northern sky. It is this south-to-north (and back again) apparent movement of the Sun in the sky over the course of a year that gives us longer and shorter days; where (for us in the north) the Sun reaches its furthest point north in the sky in summer, appearing higher in the sky and giving us longer days, while it reaches its furthers point south in winter and hence appears lower in the sky, giving us shorter day. –	The point when it traverses south to north – where the ecliptic intersects the celestial equator – is called spring equinox and gives us 12 hours of day and night (approximately). This is also called the First Point of Aries because when ancient civilisations discovered this phenomenon, the Sun appeared in the constellation of Aries as it travelled from south to north. –	Also, at the time of such celestial discovery about 2000 years ago, in mid-summer the Sun resided in the constellation of Cancer and also directly over head at a latitude of 23.5 degrees north of Earth’s equator. This is why that latitude is called the Tropic of Cancer. Similarly at mid winter in the north (mid summer in the south) the Sun resided in the constellation of Capricorn and also appeared directly overhead at a latitude of 23.5 degrees south of Earth’s equator and why that latitude is called the Tropic of Capricorn. Precession of the Earth’s axis over a 26,000 year period means that although Earth’s tilt remains about about 23 degrees, it’s orientation changes (think of a spinning top rapidly rotating at a tilt but the orientation of the tilt changing over time). As a result of this precession the constellation the Sun appears in at the equinoxes and solstices changes over time (by about 1 degree in the sky every 72 years) so that today the Sun no longer appears in Aries at the spring equinox but instead now appears in the constellation of Pisces; and similarly no longer appears in Cancer at the summer solstice and instead has moved into the constellation of Gemini at that time of the year. Finally, Earth’s precession also means that, were it not for regular corrections we make to our calendar, mid-summer in the northern hemisphere would occur in December in about 13,000 years from now. To ensure we retain our existing calendar with mid-summer always in June, we add fractions of a second to our clocks every few years, nudging the calendar back into place to counteract the Earth’s precession. Of course, while we can’t directly see which constellation the Sun is in at any given moment (because that constellation is behind the Sun in the day time), as the Sun moves from constellation to constellation, it correspondingly affects which constellations we see at the night. In particular, those constellations on the far side of the sky to the Sun at any given moment will appear in the middle of the night. This is why we see different constellations in the night sky during different times of the year. For example, the constellations of Taurus is visible in the southern sky in winter, but during the summer it is not visible at night because the Sun is actually in the constellation of Taurus so it is in the sky during the day. So this gives us a lovely opportunity to ask what constellations are in the summer sky around the time of the summer solstice and though July? Though of course the skies are less dark than in winter (because the days are longer and the Sun does not set so far below the horizon at our latitude), the summer night sky from Ireland is nothing less than spectacular. Firstly, traversing the sky from northeast towards southwest you see the faint white band of the Milky Way galaxy itself, of which we are a part. The Milky Way is a galaxy of perhaps 200 billion stars, each like our Sun, and the band of light is the combined starlight of all 200 billion of those stars. The main feature of our summer skies is called the “Summer Triangle” made up of the three brightest stars you can see as you look overhead and south: the brilliant blue-white star Vega (in the constellation Lyra) almost directly over head at midnight through July, Deneb the strong white star in the magnificent constellation of Cygnus the Swan (also known as the Northern Cross) and the white-yellow star Altair furthest south in the constellation of Aquila. Altair is of particular note because, at just 16 light years distance, it is one of our closest cosmic neighbours (and is the star to which the gallant crew travelled in the iconic 1950’s film “Forbidden Planet”). The constellation of Cygnus the Swan is also of particular interest. To find it, look for a large cross or crucifix outline of seven stars almost directly over head during July, of which the brightest star is Deneb. Cygnus lies within the rich star fields of the Milky Way, and viewing this constellation through binoculars is nothing short of spectacular, where you will witness countless thousands of stars to rival any Star Wars movie scene. The Kepler exoplanet finder space probe, which has discovered about 2000 planets around other stars, concentrated its efforts exclusively within Cygnus, so it is surely intriguing to know, as you look through your binoculars at the stars within the constellation, that many of them possess families of planets. Finally in the summer night sky we cannot ignore the giant ‘W’ of the sky: Cassiopeia. Though Cassiopeia is visible in the sky all year round from Ireland, it is particularly splendid in summer in the northeast region of the sky. Identifying it for the first time is hugely satisfying, and again observing it through binoculars is nothing short of spectacular. A particular treat through binoculars is the magnificent double star cluster in the constellation of Perseus, the next door constellation to Cassiopeia. and you can find the double cluster easily using Cassiopeia as a guide – from the left most star of Cassiopeia find the 2nd and 3rd stars of the great ‘W’ – then extend their line downwards for about twice their separation and you arrive at the fabulous double cluster in Perseus. Each of the clusters comprises more than 300 blue-white giant stars and are perhaps only 12 to 13 million years old – a blink of the eye in cosmological terms and when compared to our Sun’s 4,500 million year age! I urge each and every one of you to come to know the motion of the Sun, Moon, Planets and stars in our sky. Read about it, learn how people of old figured out such motions. Convince yourself of Earth’s movement about the Sun and how it affects the seasons, length of day, how high the sun can reach in the sky and what constellations you can see at each time of the year. There is no doubt that gaining such insight delivers a great sense of connection and ‘place’ in the greater natural scheme. Likewise, I strongly advise you to come to know the night sky at various times of the year. There is nothing more enthralling than identifying the constellations for yourself. The first time you see a constellation pattern in the sky is a very exciting moment; and without trying to be over the top about it, a quite personal moment. For me, that moment occurred when I was about 10 or 11. I had read about the constellation of Orion from a beautiful little book called the “Observers Book of Astronomy” my Patrick Moore, and set out on winter evenings to see it for myself. I spent no less than three winters looking for it, but to no avail. I just could not find it. For the first couple of winters I looked and looked. What kept drawing my attention, however, was three stars in a straight line that would appear in the autumn sky to the southeast , and fade in spring to the southwest. I found those stars fascinating, but for love nor money I could not find Orion. I read about it more and more, but nothing could reveal it to me. And then, on the third winter, while looking at those intriguing three star, Orion presented itself to me in a moment of pure revelation. I looked at the three stars and realised in a moment of joy and exhilaration that they were actually at the centre of Orion! There was Orion, magnificent – HUGE – surrounding those three stars (the belt of Orion!) in the sky, dominating a much, much larger part of the southern sky than I had expected – in front of me all the time. My mistake over the previous years had been a lacking of perception of the size of the constellations in the sky. I had thought they were tiny, and that I would have to track them down with fine precision within a small part the sky! Nothing could have prepared me for the sheer size and scale of the the constellations in the sky and how readily visible they are to the unaided eye; and so I could not see Orion even on the most glorious of dark, crisp nights. 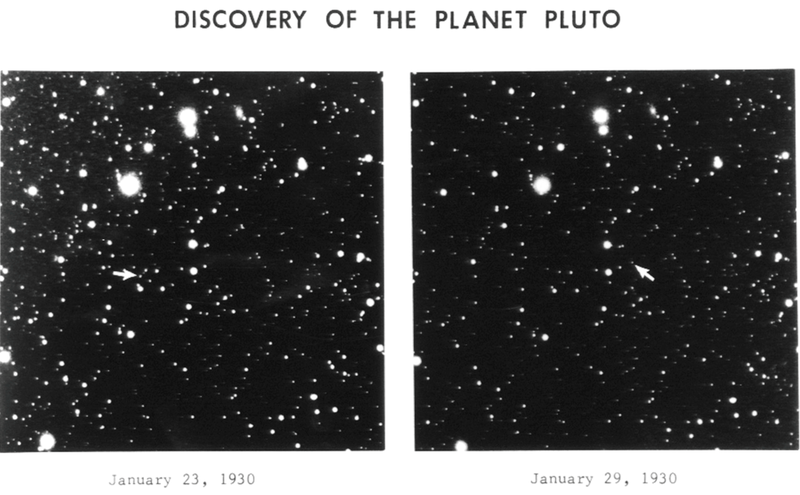 I will never forget that night and that moment of personal discovery; and I urge each and every one of you to similarly explore the sky – most especially with your naked eye and at most with a pair of binoculars – but first and foremost with your eyes only (and a good night sky guide), to discover the constellations for yourself. And be sure to look into the summer night sky on some calm cloudless evening – either with the naked eye to discover the constellations for yourself or with a pair of binoculars to witness the splendor of the heavens just beyond the perception of the naked eye. Find out a little of the mythology of each constellation you identify, learn what stars, nebulae and star clusters are in it, read a little of the astrophysics that describes the processes underlying the formation, evolution and fate of the stars and indeed the Milky Way itself. 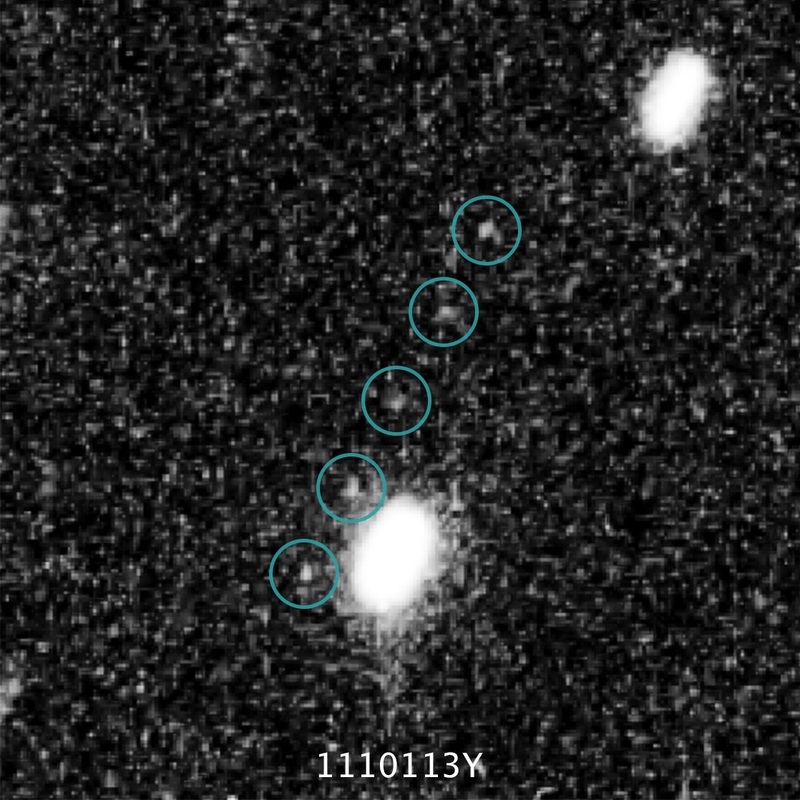 Finally, perhaps explore the magnificent and unique Hubble Space Telescope image archive on-line to witness visual details not visible from the ground and indeed to learn more about the powerful cosmological processes that drive the workings of the Universe itself. Make such a quest your own. From looking into the night sky to learning about the underlying cosmological forces at play, there is much you can do to enhance your sense and understanding of nature on the grandest scheme. You do not need to be a scientist or astronomer to do this, and each and every one of us has an entitlement to such a sense of connection and ownership of the universe within which we live.